NASA has released a new desktop application for asteroid detection, developed by NASA and Planetary Resources Inc. based on an algorithm from NASA’s Asteroid Data Hunter Challenge. Amateur astronomers can use the application to analyze images. The application will tell the user whether a matching asteroid record exists and offer a way to report new findings to the Minor Planet Center, which confirms and archives new discoveries. The desktop application, which is free, currently runs on Macintosh and Windows computers. A Linux version is coming soon. The application can be downloaded at http://www.topcoder.com/asteroids/asteroiddatahunter. The improved algorithm has the potential to increase the number of new asteroid discoveries by amateur astronomers. Analysis of main-belt asteroid images using the algorithm showed a 15 percent increase in positive identifications. The application was announced during a panel discussion at the South by Southwest Festival in Austin, Texas on Sunday. 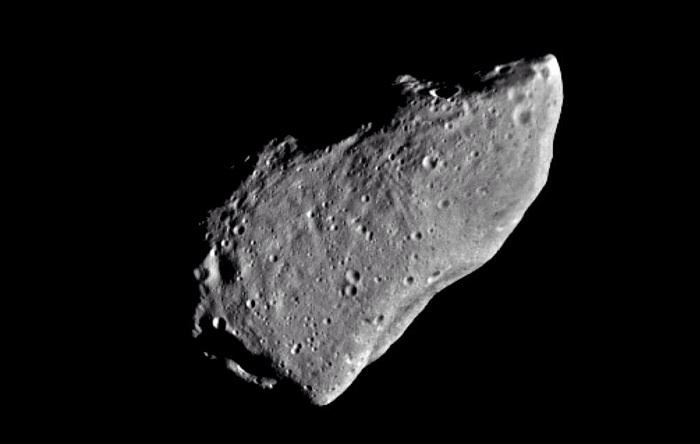 NASA’s Asteroid Data Hunter contest series will offer $35,000 in awards to citizen scientists who develop improved algorithms that can be used to identify asteroids. This six-month contest series will conducted in partnership with Planetary Resources Inc. The first contest in the series will kick off on March 17. Prior to the kickoff, competitors can create an account on the contest series website and learn more about the rules and different phases of the contest series by going to this website. Managed by the NASA Tournament Lab, the contest series runs through August. It is the first contest series contributing to the agency’s Asteroid Grand Challenge. 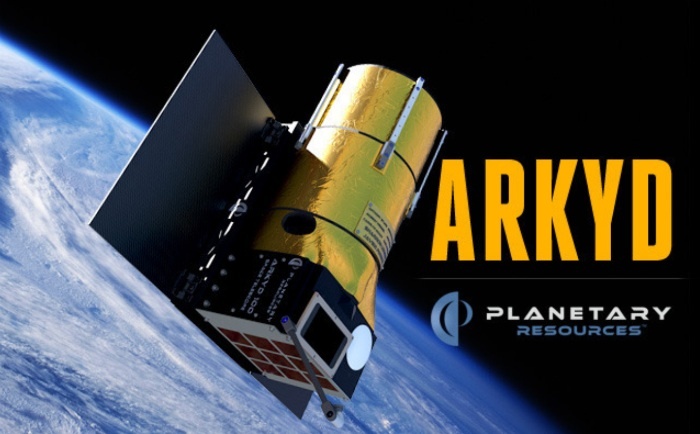 Planetary Resources has announced a Kickstarter campaign for its Akryd-100 space telescope. The Houston Chronicle’s “SciGuy” Eric Berger asks whether asking the public to fork over $1 million for a private space telescope is destined to fail. Less than one day after the announcement, Planetary Resources has received over $370,000 in pledges, so right now, it seems like it’s destined to succeed. Dr. Vlada Stamenkovic, a post-doctoral researcher at the Massachusetts Institute of Technology, plans to use the Arkyd-100 space telescopes, being developed by Planetary Resources, to help find planets orbiting other stars. The search for exoplanets is one of the most exciting fields of research for astronomy and astrobiology. We’re constantly amazed that NASA isn’t doing more in this area. If there is an international space race (something we’re not at all certain of), the European Space Agency just made a strategic move to pass by approving construction of the Euclid space telescope. Hubble will be retired in a few years, however, and NASA has no plans for a replacement. No, we’re not forgetting JWST. The James Webb Space Telescope has been billed as a replacement for Hubble, but it isn’t. JWST is an infrared telescope; it won’t produce the sort of visible-light images that made Hubble so immensely popular. Once JWST is in orbit and the public realizes that fact, buyer’s remorse is likely to set in. We’re not sure NASA though this one through. NASA recently took delivery of two Hubble-class telescopes originally built for the National Reconnaissance Office. Unfortunately, it can’t afford to launch either one of them due to JWST overruns and “monster rocket” expenditures eating up the NASA budget. So, ESA’s approval of the Euclid space telescope is a timely move. With a 576-megapixel visible camera and optical resolution comparable to Hubble, Euclid will be positioned to take over Hubble’s role as the public’s favorite telescope. In government space programs, image is everything, and there’s little doubt Euclid will produce stunning images. Still, it’s a bit disappointing to see a government space agency investing a billion dollars in a conventional Hubble replacement instead of pioneering new technology like optical interferometry. To misquote an old saying, give a man a telescope, and he will observe for a day; develop the technology to build better, cheaper telescopes, and he will observe for the rest of all time. That’s one of the reasons Planetary Resources’ planned Arkyd-100 telescope constellation is so interesting. A large of number of relatively modest, but low-cost, space telescopes could be a game changer. A recent blog post from the company suggests Arkyd-100 may give amateur and professional astronomers the chance to take a directed picture of an object of their choice for just $100, compared to over $10,000 for other space telescopes. Yet, they’ve apparently determined one detail already. At yesterday’s press conference, it was stated that all of their projects (presumably including the mining phase) would be robotic. That’s not unexpected given the technical team. Chris Lewicki and Cris Voorhees come from the robots uber ulles branch of space science. If they’re successful, capturing and moving an asteroid would be the largest single project ever undertaken entirely by robotics. It remains to be seen whether that’s possible or whether Planetary Resources will ultimately change its plans and accept the need to have humans onsite for supervision and troubleshooting. There’s still plenty of time for mid-course corrections, of course, since any asteroid capture is years away. Written by Astro1 on April 25th, 2012 , Planetary Resources Tags: asteroids, Why humans? Planetary Resources Inc., formerly Arkyd Astronautics, revealed a ambitious multistage plan to harvest extraterrestrial resources during a press held at the Museum of Flight in Seattle, WA. The company, based in the Seattle suburb of Bellevue, has been working quietly for the last three years to develop the plan, which includes space telescopes in Earth orbit, probes to investigate near-Earth asteroids, and ultimately a system to capture an asteroid and return it to Earth orbit. Asteroid resources include water for use in space and scarce metals for use on Earth. A single 500-meter platinum-rich asteroid contains the equivalent of all the Platinum Group Metals mined in history, according to Planetary Resources. The first phase in the plan would involve launching a series of Arkyd 100 space telescopes into Low Earth Orbit. Each Arkyd telescope would cost a few million dollars, including launch. Arkyd satellites are designed for rideshare missions and do not require dedicated launches. You are currently browsing the archives for the Planetary Resources category.